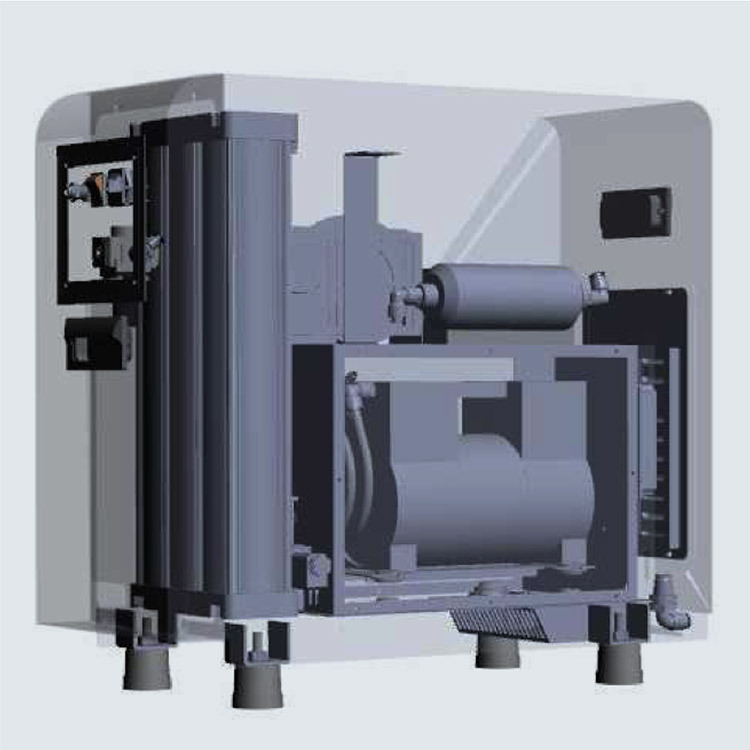 The VKO2 EXT range consist of a VK 002 or VK 102 unit with a powerful detached oxygen concentrator. The VKO2 EXT can be used with a headset and the unique selling point of this model is that it can also increase the oxygen levels within a desired airspace, like having 400 trees indoors! Imagine working or living in the middle of a forest, all of that clean, fresh, oxygenated air invigorating you. Unfortunately most people do not have the forest option and are forced to breathe heavily polluted air that is low in oxygen. 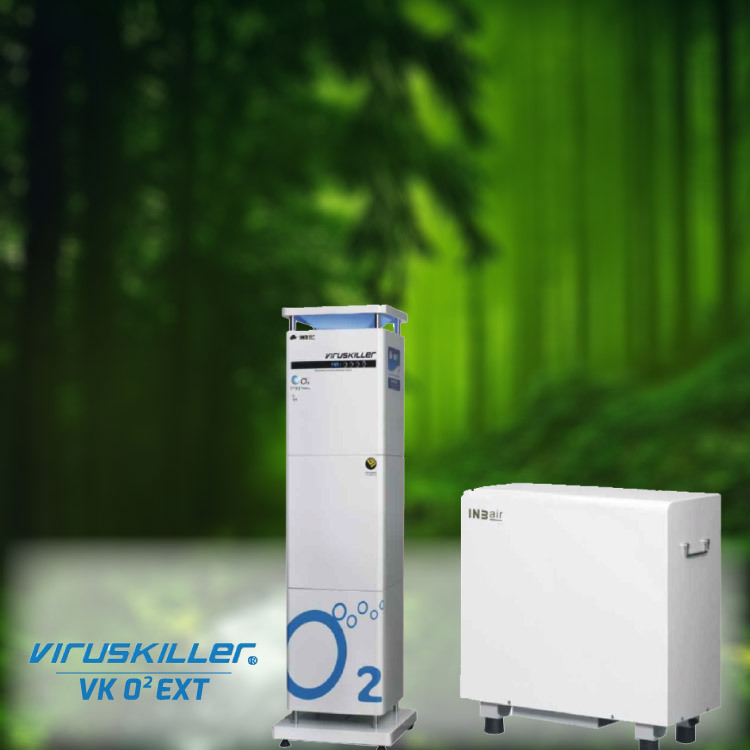 With the VKO2 EXT unit, we bring the forest air to you. 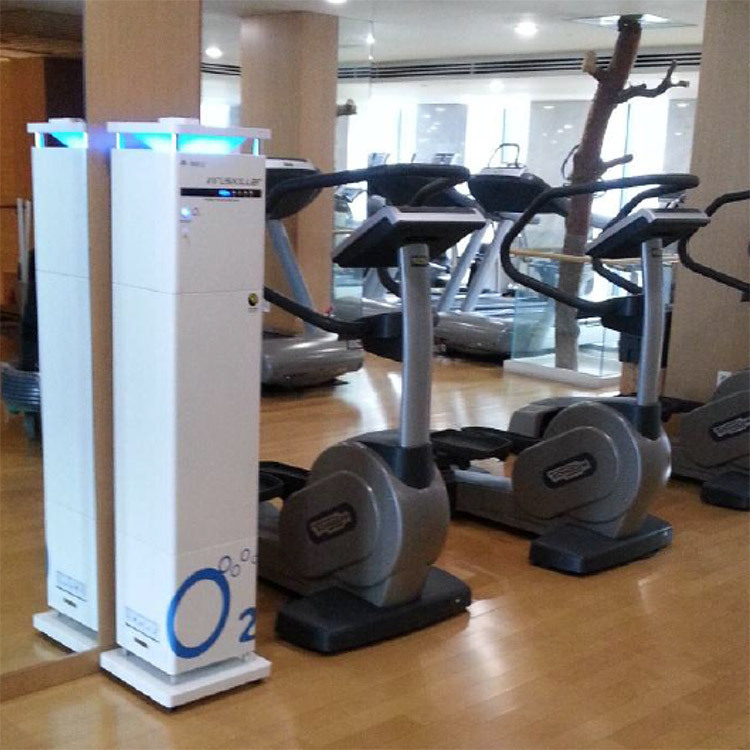 Oxygen concentrators are quite noisy so we have designed the VKO2 EXT unit so that the oxygen concentrator can be housed behind the scenes and is attached to the VK unit via a small tube. The VK unit purifies the air and pumps out 70% oxygen at a high enough rate to increase the oxygen level in a 100 square meter space, turning stale city air into fresh forest air. People are more aware now then ever before about the health risks associated with air pollution and more people are slowly becoming aware of the health benefits associated with oxygen, both markets sectors are projected to grow dramatically in the coming years. 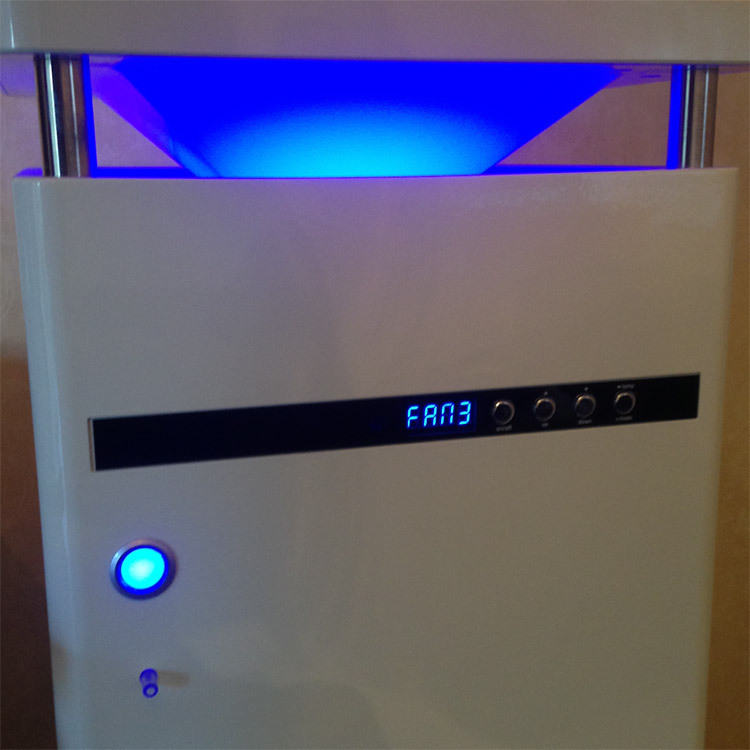 Educating people about the benefits of the VKO2 EXT is easy and when people are in a purified and oxygenated environment they feel great. Imagine having a restaurant or coffee shop in a big polluted city where you could go and enjoy air like you were sat in a forest or creating a home environment in a city which was as healthy as living in the countryside. You could even create an office environment where the staff could not wait to get to work and breathe the fresh, healthy air …….. that is the power of the VKO2 EXT.